Blackjack is a fun and fascinating game and there are many great facts that can be learned. Any fan of blackjack will appreciate the following trivia facts, including those that offer info on the origin of the game, card counting, entrance to the Blackjack Hall of Fame and much more. 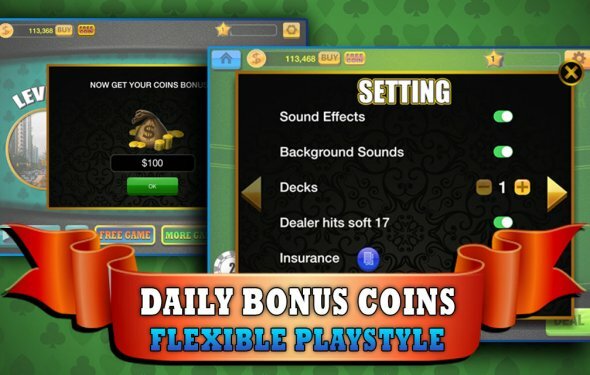 These interesting facts will stump new players or those that have no experience with blackjack and they are useful tidbits of information for those that play the game. The information offers an insight to the game of blackjack and provides great info for trivia fanatics who also love the game, one of the classic casino games of all time. 1. Blackjack got its mane from a French term, Vingt-et-Un, meaning 21. When players first started playing, gambling establishments offered as payout of 10:1 if the hand contained a black jack. The name then stuck and started to become popular all over the world. 2. When playing blackjack, the chance of getting a natural 21 is around 4.8% in single deck blackjack, but this can change based on how many decks are being used. 3. The longest amount of time any single dealer has spent dealing blackjack is 51 hours and 33 minutes. This was done in August of 2001 at the Oracle Casino in Malta. 4. The largest blackjack table built measures 2, 226 feet and 6 inches in surface area and it is located at the Viejas Casino in California. In 2013, just a single hand of blackjack was played on the table using oversized cards and chips. 5. Eleanore Dumont was the first professional blackjack player in America and she was known as Madame Moustache. She went on to open her own gaming establishments. 6. Al Franesco was the first to use team play at blackjack games. The result was the forming of card counting teams across the US, including the MIT card counting team featured in the popular movie “21”. 7. The Blackjack Hall of Fame is located in Barona Casino in San Diego, California, and opened in 2002. It honours the greatest game experts, players and authors, including Arnold Snyder, Ken Uston, Darryl Purpose and Don Schlesinger. 8. Blackjack tables in land based casino are equipped with small mirrors that allow dealers to check the hole card. This is called a peeper or a peeker and is used to check for a blackjack hand. 9. Blackjack card trays are always translucent red in land casinos. These trays are designed to discourage cheaters who mark cards with ink. The marks may be invisible to the eye but can be detected by casino staff wearing tinted glasses or contacts. 10. The reason the card dispenser in the game is referred to as a shoe is because when it was first invented, it resembled a woman’s high heeled shoe. 11. Cut cards are blank cards that are inserted into a deck to inform players of when the cards are to be shuffled. 12. Cards that are dealt from a shoe use two cur cards. One will let players know when cards are to be shuffled and the other is used to prevent players from seeing the last card in the shoe.